As per the reports published on the third quarter of FY19 revealing the stats of the telecom operators in the country, Reliance Jio has successfully maintained its lead over the other companies with a comparatively higher adjusted gross revenue (AGR), a key industry parameter. This is a crucial figure as the quarter witnessed slightly increased spectrum usage charge (SUC) and license fee thus indicating that the industry is back on track of regaining its financial health. Reliance Jio’s adjusted gross revenue (AGR), or revenue from licensed services, increased by 14.63% quarter-on-quarter to Rs 9,482.31 crore as reported on December 31, 2018. Based on the data published by the industry regulator, Trai, access services accounted for 72.31% of total AGR of telecom services. This growth of Reliance Jio’s AGR was in contrast to Vodafone Idea, which is although the market leader in the country by subscriber count, but had to face a 4.05% sequential fall in AGR to Rs 7,223.72 crore. Bharti Airtel suffered the same fate as the AGR slipped 4.18% on-quarter to settle at Rs 6,439.65 in the quarter ending on December 31, 2018. 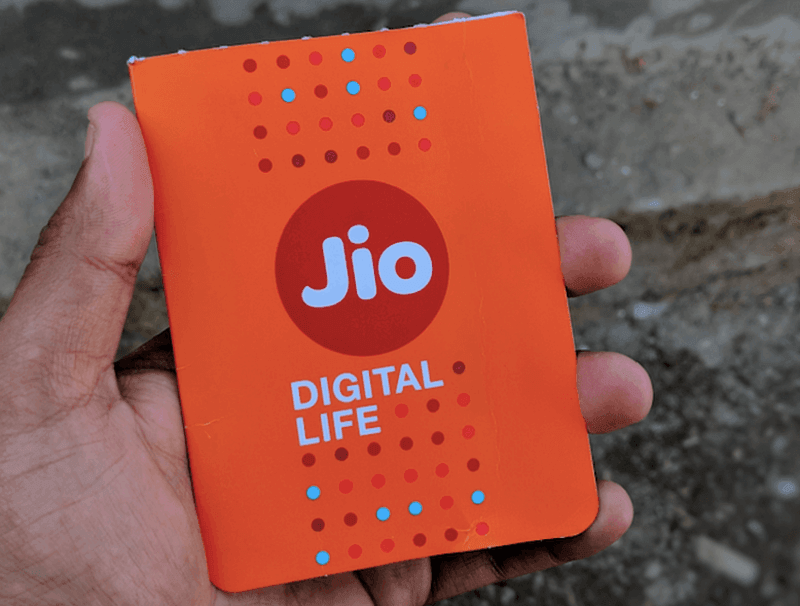 To recall, Reliance Jio had become the top telecom operator in regards to AGR in the September quarter and had even put Vodafone Idea behind in terms of revenue from licensed services. Speaking of the overall industry AGR, there was a slight decline of 0.24% sequentially to Rs 36,054 crore in the December quarter. The most crucial aspect of the data released by the industry regulator is the slight increase in spectrum usage charges (SUC) and license fees which signals that the industry might finally be on the track of better financial health. The entry of Reliance Jio back in 2016, had triggered a data tariff war in the telecom sector which had drained the industry financially and as a result drove consolidation and brought telcos under reeling debts. The license fees and SUC saw a slight increase after nine months. The license fee and SUC had last risen sequentially in the quarter ending June 2016. The two components are paid to the DoT by the operators based on their AGR. The licence fee mop-up by the government in the quarter ending December increased by 0.03% sequentially to Rs 2,890 crore, whereas the other component of this figure, the spectrum usage charge (SUC) rose by 2% to Rs 1,064 crore, the Trai data showed. Another crucial metric as reported by Trai, the industry’s blended monthly average revenue per user from wireless services increased over 4% sequentially to Rs 70.13 in the third quarter of FY19. Finally recharged the yearly plan. Set for the next 1 year. No tension of recharge. Just hope services remain good or improve for the better. Same here for my second number. Why do u feel tension to recharge? This is not railway a ticket booking at the railway counter or paying municipal bill standing in queue. (398-50)*5=1740 minus individual payment mode offers gives 420 days of 1.5gb. What u paid now is 1699 for 365 days. Which is cheaper.?? And why u still using that many networks?? U can’t find which one is better for you?? Now 2 sim cards itself turns unnecessary burden. 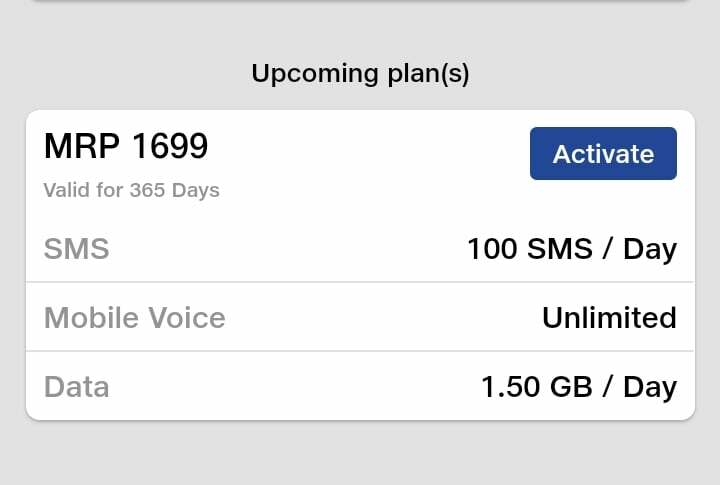 If you choose to subtract 50 from every 398 recharge also do the same for the 1699 recharge which is 1649 for 365 days. Yes still more expensive by 0.37 paise a day so 137 rupees a year. Which is absolutely negligible.